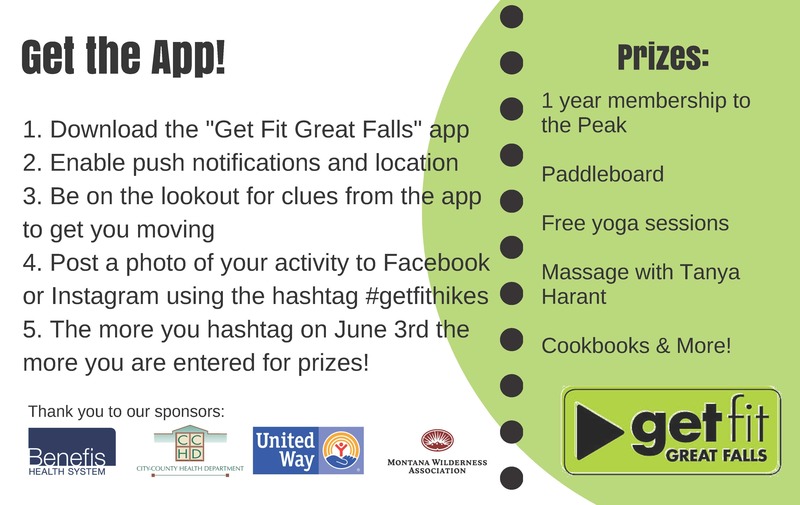 Get Fit Great Falls / Health / Win Prizes for Being Active on June 3rd! 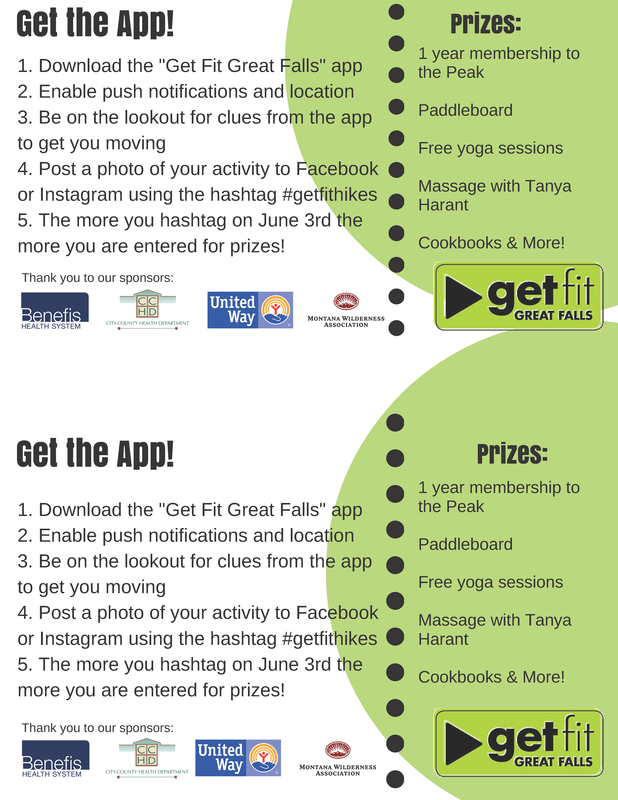 In conjunction with National Trails Day on June 3rd, Get Fit Great Falls (GFGF) is publically unveiling their new mobile app. 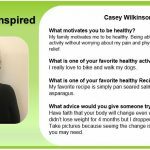 The app is designed to give people access to healthy recipes and exercise ideas while out and about in the Great Falls community. “We are very excited about connecting with the public with our new app. This new technology gives us the opportunity to reach people on a whole new level.” Says Kim Skornogoski, GFGF President. New geotracking technology allows Get Fit to partner with other organizations and events to notify people of activities happening near them. The organization is capitalizing on this feature on June 3rd during their 11th annual National Trails Day event. The public is invited to download the GFGF app on their iPhone or Android prior to or on June 3rd. Throughout that day, push notifications will be sent to app users, encouraging them to post healthy activities on the app or via Facebook or Instagram by using the hashtag #getfithikes. Every engagement will count toward an entry in a raffle. 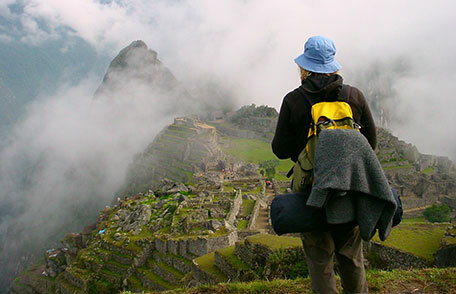 “Whether people are participating in a hike for National Trails Day, in town for the Spring Fling Hoop Thing or just wandering around the Farmer’s Market. They can engage with us using the hashtag #getfithikes and they will be entered to win some awesome prizes!” Skornogoski says. 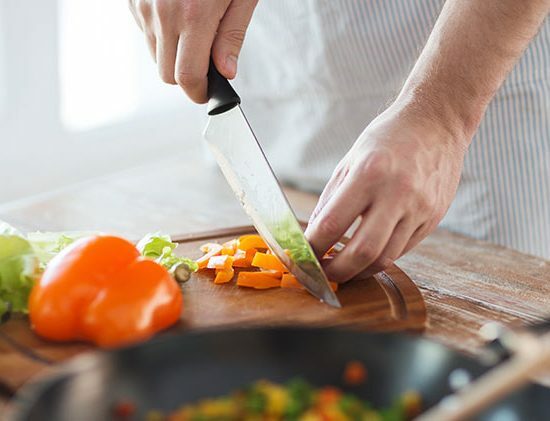 Some of the prizes include a 1-year membership to the Peak, a paddle board partly donated by Scheels, yoga sessions with Michelle Chenoweth of Mind Body Yoga, a massage session from Tanya Harant, a cookbook from Sydne George and many other prizes.